The sky has just begun to lighten; the robins start to sing the sun over the horizon. In bed beside me, Charlotte begins to fuss, as if on cue. She kicks her chubby little legs, squirming on her back, her face scrunched up as she grunts and strains. Her belly is tight: I try to massage it but I know my girl needs to get upright. I swing my legs over the edge of the mattress and hoist us both up to standing. Instantly, her body goes soft on my shoulder, her grunts quiet. She burps forcefully as I sneak out of the room, skirting the squeaky floorboards so as not to disturb the boys. Downstairs where it is cool and quiet, I sit on the couch, baby up on my shoulder or reclined on my propped up legs, and write. Julia Cameron, in her book The Artist's Way, calls them morning pages. Others might simply call it journaling. In these early hours of the morning, bleary eyed, I fill 3 pages of my journal with stream-of-conscious writing, my smooth black Sharpie pen pushing the words from my brain onto the page. Sometimes I write out a vivid dream; sometimes I start by writing my intentions for the day; sometimes it jumps around, from the banal to deeper thoughts and back again. And some days I get interrupted by a baby who won't settle or a little boy who woke up and couldn't find his mama. Some days I don't make it to the couch at all, choosing precious sleep. On these days, morning pages may be noon pages, nap pages, whenever-I-get-20-minutes pages. Or they might not happen at all. I've been writing morning pages, off-and-on, since my grade 13 year of highschool, when a creative writing teacher introduced them to us. I've gone long stretches without them. They've guided me through emotional crises, they've helped to unlock my creativity. They are like a talisman for me: on the days that I write them, I feel able to work on another piece of writing, to start a poem or a blog post. I find that getting that blurt out helps more cohesive sentences to flow. Those messy, disorganized first thoughts make way for thoughts more lyrical, more musical. During the stretches where I don't write them, don't journal at all, I am usually at my least creative. I cease to think of myself as a writer. Morning pages have become essential to the health of my muse, and by extension, the health of my soul. How about you? Do you journal or write morning pages? What keeps your muse healthy? Linking up with #WhatImWriting. Please go to Writing Bubble to visit the other participants! I'm like you . . . I have been off and on, but knowing that base is there, that I can dive back into it is so comforting. Sometimes I just write in a more journal type way and other types I like to follow a prompt so it's more of a creative fiction experience. You're right, they're so good to come back to. I love the idea of following a prompt. Some days I show up at the page feeling totally unmotivated to write anything, like my thoughts are sludge and won't get moving. A prompt would really help on those days! Unblocking the tap is a great image, Maddy! Thanks for hosting the link-up, I look forward to joining again in September! I'm glad you can relate! Mornings, before the rest of the house is awake, seem to be a popular time for mother-writers. Or maybe mothers in general...my mom isn't a writer but she was always up before us, to finish a quiet cup of tea! Good luck fitting writing into your day. It feels so good to do! I tend to write when I can, it doesn't really have a fixed pattern but I do write most days in some form or other. I'm terrible at sticking to journals but for some reason blogging has me more focussed. Still not sure why that is! I love the idea of a morning journal though. I wonder if it's the public nature of blogging that helps to keep you focused? Having an audience certainly helps with accountability! It's wondeful that you canfit writing in most days, wherever there's time. You've reminded me how much clearer my thoughts are with a regular practice of morning pages - thank you! I'm going to start again over the summer. I'm glad I've reminded you of the practise, Rebecca! I haven't done any freewriting (this is what I call morning pages as the time of day varies!) for a while and like you, I am more creative when I do. I am always writing something (with three blogs and clients to write for it's hard not to be) but my best creative/fiction work comes when I am do this. Thanks for the reminder! 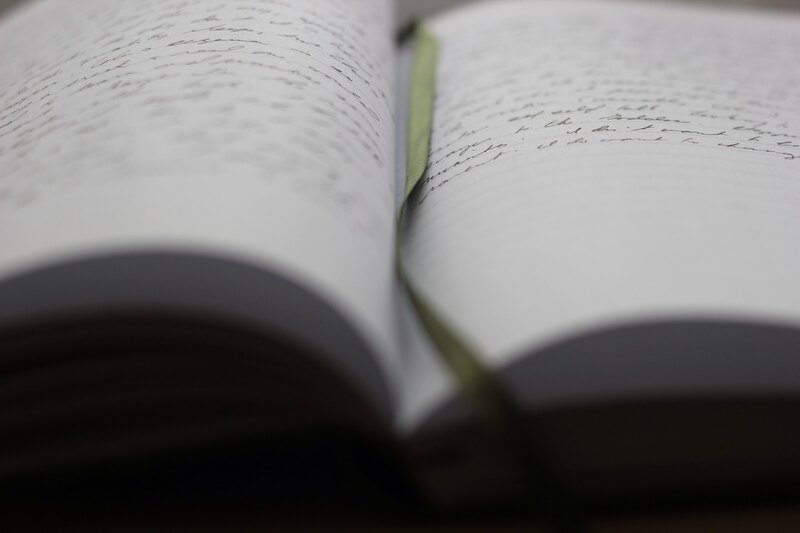 Journalling is such a wonderful habit to get into because it can be invaluable for your writing. Even though I've been writing a long time I stupidly have kept all my ideas in my head. In the past few months I've developed a journalling habit, not quite as good as yours, but it does mean I always have something with me to write ideas down on. My writing's improving as a result. I'd love to do it first thing every day as you do. I will work at it! Thanks for stopping by. I'm Tara Borin, a poet and mama to three little ones. I blog about parenting, the writing life, and the ups and downs of becoming a published poet. Copyright @ Tara Borin Writes. Design by MangoBlogs.